This Valentine Day, try something new. Here’s an instant sweet dish recipe for your sweetheart! 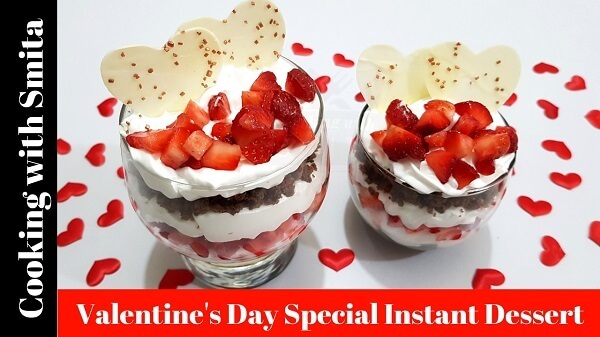 A Valentine Day Special Instant Dessert Recipe made from Cake Crumbs, Whipped Cream & Strawberry decorated with Heart Shaped Edible Chocolate Decoration. 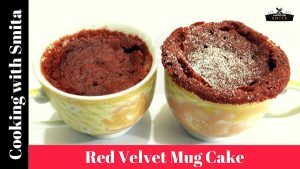 Try this quick dessert on Valentine Day & surprise your loved one. Take a chunk of Chocolate Cake and rub it in the bottom of the sieve over a dish & collect the crumbs. Cut Fresh Strawberries into small pieces. Take a serving glass or bowl and make a layer of cake crumbs (about 2cm). Using a piping bag make a layer of whipped cream over it. Spread some Strawberry pieces to make the 3rd layer. For the fourth layer, again add whipped cream. Now, make another layer of cake crumbs. Finally, fill the glass with whipped cream on top. Add some strawberries and edible chocolate decoration on top and serve immediately.